Truth and Freedom, in Novels and Reality. Burning Books in Cyberspace? Orwell lives! I am an Indy author with six Award Winning Thriller novels published. Link. I’ve been “noticed.” I have a following on social media. I have to be there to market my novels. The Internet is the best way that authors who are not with a major publisher can promote their books. 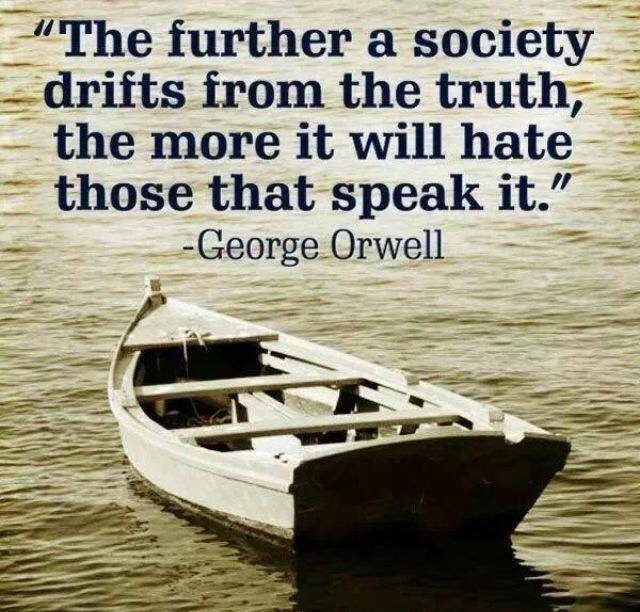 Other than those active on social media, most are unaware that the society-transforming “Fake News” war to erase history, suppress truth, and limit free speech has exploded into Cyberspace. The left has always wanted to censor its critics and erase history. Conservative authors are being targeted, personally attacked, and aggressively censored. Book reviews are being gamed. Those in Cyberspace who don’t comply, who don’t conform, are being punished. I was blacklisted on Amazon in 2016, banned from posting and all my twenty-some years of book reviews deleted. Why? Basically because I voted for Trump and criticized Hillary. They never said that explicitly, but here are the details. The issue is censorship of conservative free speech in Cyberspace. This conflict is now raging all over social media, mostly below the surface. It has aspects of what we saw in fiction in The Matrix, which is an updated version of what Orwell put in 1984 and in line with what I put in my own novel Privacy Wars. In the run-up to the 2018 Election “Big Tech” censorship (along with Fake News in the old media) is a MAJOR ISSUE. It first showed up on the radar in the summer before the 2016 Election. According to Constitutional Law experts, there are no explicit First Amendment rights in Cyberspace. Yet…. Huge corporations (cartels) continue to exploit and abuse this omission to support their own agendas and political biases. I expect there will eventually be a Supreme Court ruling on this. It may extend to blocking Social Media firms from accepting foreign political advertisements or owning news media. This is exactly why our founding Fathers so valued the First and Second Amendments. I was blacklisted (banned from posting) on Amazon 8/29/2016. I was never told why, but the timing coincided with an “alert note” that I sent out supporting now President Trump which went viral. I never posted this on Amazon, but others may have. “One place Amazon likely does enjoy an unfair competitive advantage is due to federal intervention. The Obama Justice Department brought an antitrust case against Apple for trying to compete with Amazon’s e-books dominance. These columns called the case “quarter-baked,” but liberal judges approved. 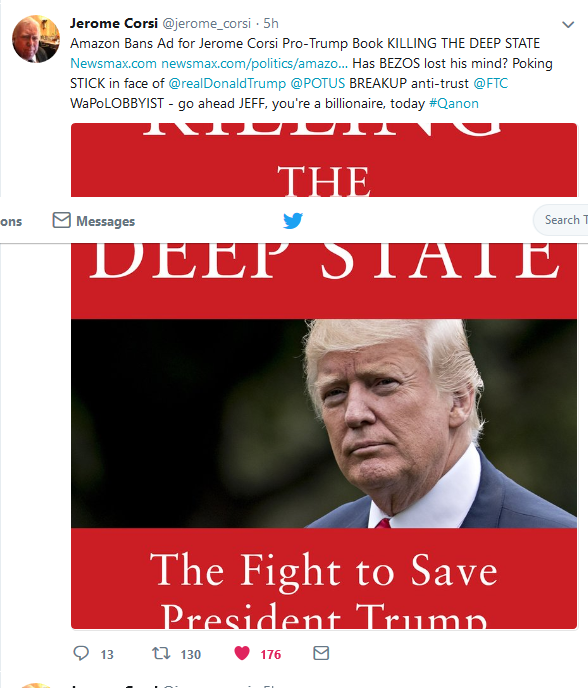 If you wish to learn ALL about the Deep State and what to do about it, I highly recommend Corsi’s book Killing The Deep State. I expect “Fake News,” censorship, and intimidation will get worse as the next election cycle approaches. 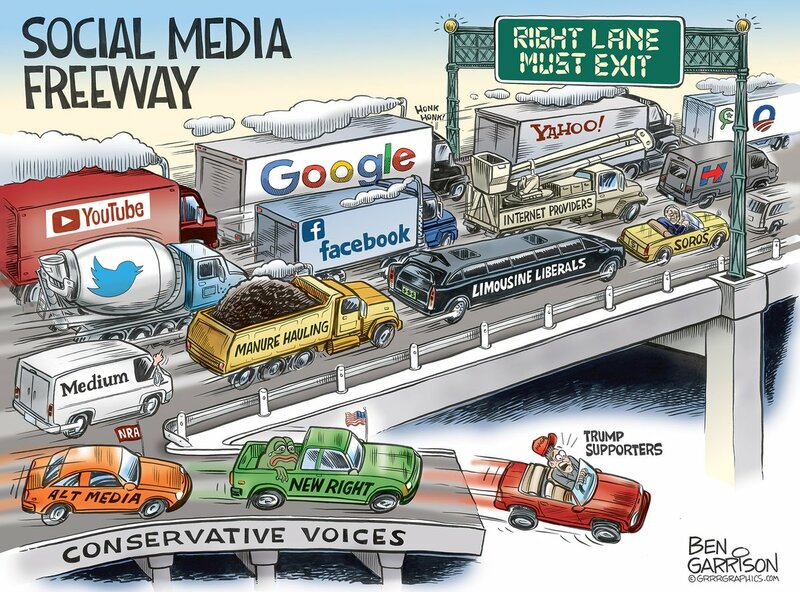 From Google, to Facebook, to Twitter, to YouTube, to Amazon, and beyond the social media firms – now the most prosperous companies in America – are a major part of the “Deep State.” Censorship of conservative free speech on Facebook is already in the 90% range. Link. Google hates Trump. Link. These firms are the Robber Barons of our time. Essentially, the Silicon Valley giants have gotten fantastically wealthy by capitalizing on others’ data for little or no cost to source. They have developed their own “cult” cultures and are purging their firms of any who disagree with their views. This is a war for control of public speech and the rights to personal information and intellectual property. How it ends will shape the future of America. If you control speech and words, you control what people say. If you control what they say, eventually you control what they think. Political Correctness is Fascism masked as politeness. This post is to share what’s going on in my small corner of this world with you and to request help from my readers and those who value Free Speech and First Amendment rights. Here are tidbits from my small corner of the war in Cyberspace: Books. In the run-up to the amazing 2016 election crazy things were happening. I was early to Amazon. I was there doing book reviews since about 1996. Virtually all my reviews were positive, as why read a book if you hate it? Over the years, I posted about 120 reviews. ALL MY BOOK REVIEWS ON AMAZON WERE DELETED. Here is the last review I posted on Amazon – it was there for only a day or so before it was deleted. I then got this note. Here it is, along with my deleted review. Your review could not be posted. Straight propaganda. Don’t waste your money. Straight propaganda. Don’t waste your money. See some book or film like “Stealing America” or “Clinton Cash” if you want the straight words about lying Hillary. Yes, Hillary is the first woman candidate for the office of President of the United States. This woman is arguably the most corrupt person to ever be a serious candidate for the office, and — depending on what polls you believe — 60-70% of the U.S. public (including some who will vote for her) think she’s untrustworthy. Note: My banned review (9/28/2016) has aged well. Hillary Clinton’s book broke records for its horrible reviews. Here are some of the early reviews. I found them clever. 5.0 out of 5 stars I feel safe now. I was going to give this book an unfavorable review but I fear for my life. 5.0 out of 5 stars The best review ever!!!! The five stars are for the review written here by Daniel B., NOT THE BOOK! I had to re-post as it, NOT THE BOOK, is well worth the read. 17 comments| 970 people found this helpful. 9 comments| 726 people found this helpful. 5.0 out of 5 stars 5+Stars to the Authors….OF THE REVIEWS! I didn’t buy this book or read this book, but I have read the reviews, and enjoyed hours of entertaining, fun filled reading, expressing the TRUTH, about a crooked, lying, corrupt, terminally ill Presidential candidate, who stole the nomination from Bernie Sanders, and who is about to steal the Presidency with the use of election fraud. 10 Stars to the authors of these reviews. Proof that not only are Amazon.com shoppers of superior intelligence, but they call it like they see it. More reviews please! Amazon shows this as a verified purchase, when I didn’t buy the book…..how fun! 14 comments| 910 people found this helpful. 5.0 out of 5 stars Reviews are more entertaining and truthful than the book! Looked through the book preview…boring and full of BS. That said, however, the reviews are the best entertainment I’ve had in days! Amazon customers are the best. Sorry Amazon management sees fit to delete some of their customers’ best work! Truly the Mein Kamf for a new generation. I have never in my life been more inspired than I was after reading this magnificent account of Hillary’s struggles, particularly in regards the truth and her inability to avoid pandering. The mellifluous prose she employs makes it obvious that it took a village to raise this idiot and that one can overcome every hurdle in life, up to and including your husband using an intern as a cigar humidor. I have a new found appreciation for the women who was heaved unceremoniously like a sack of potatoes into the back of her van and who then reemerged hours later, her Cyberdyne Systems microprocessor fully rebooted, to continue her run for our nation’s highest office: Commander and Thief. 17 comments| 760 people found this helpful. My only disappointment with this book is that it ended before Batman showed up to haul her to jail. 3 comments| 626 people found this helpful. The virtue of this book is that it has revealed Amazon’s scandalous practice of manipulating reviews for political objectives. I actually do find this hard to believe, and even harder to accept. Maybe I’m just a gullible fool, but I always looked to Amazon customer reviews for useful information. No more. 8 comments| 600 people found this helpful. Four days ago (the morning of Sept 19) there were 898 reviews of this book. By evening there were 983 reviews. The reviews were merciless and many quite funny (though mostly accurate). This morning I look and there’s 209 reviews. Hmmmmm, what happened to all those other reviews? Apparently Clinton has friends at Amazon. Edited to add: In the WND article there was a comment “This may be the first book to receive more reviews than sales” and I think that’s possible. Meanwhile Hillary is laughing all the way to the bank. First she gets an $8 million dollar advance from Simon and Schuster for her last abysmal failure and now she’s getting somewhere around $14 million for this book. The woman could hustle Bernie Madoff. I ordered this book from the Clinton Foundation for 2.5 million USD. It came with a certificate good for one free ambassadorship and a guaranteed seat on the State Department advisory board. I only give it one star because when I received the book I found all the pages had been deleted. On a technical level, the book is well written in that the authors give concise details of all their plans for America once they get their hands on her, if they do, that is. But I couldn’t stand listening to more than an hour of the Audible version I wasted a credit on and skimmed the remainder of my Kindle version, all the while shaking my head. The book also has sections on regulations for companies to make them “share profits with employees” and lots more promises of goodies for everyone, no doubt, in an attempt to buy their votes. All this, and the authors plan on defeating ISIS and global terrorism too. I don’t believe the authors can do all that they say they are going to do in this book, and I don’t want them to even try. 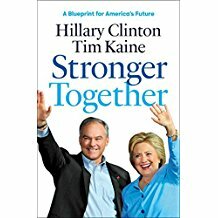 Not one single progressive proposal in this book is going to make you and me as fellow Americans, “Stronger Together.” If you decide to read the book yourself and manage to get through it all, please read between the lines and keep asking yourself who will pay for everything proposed and at what price will it come? Every time I write my review it gets deleted., it’s so weird. Does anyone know where the servers are hosted that contain reviews? Seems to resolve to bathroom.mailserver.bathroom.dc That seems very odd. I’m sure this one will get deleted as well. Oh well. 1.0 out of 5 starsAmerica is great because vote for me! Tried reading the book but developed an instant case of narcolepsy. Then tried using it as a back yard pooper scooper, but it’s already so full of feces that no dog poop would fit. Bummer. It’s tragic that Jeff Bezos is willing to risk the integrity of the ratings system to protect his Presidential Candidate of Choice. Hillary Clinton. A couple of days ago there were over 2000 reviews. Great majority were negative. 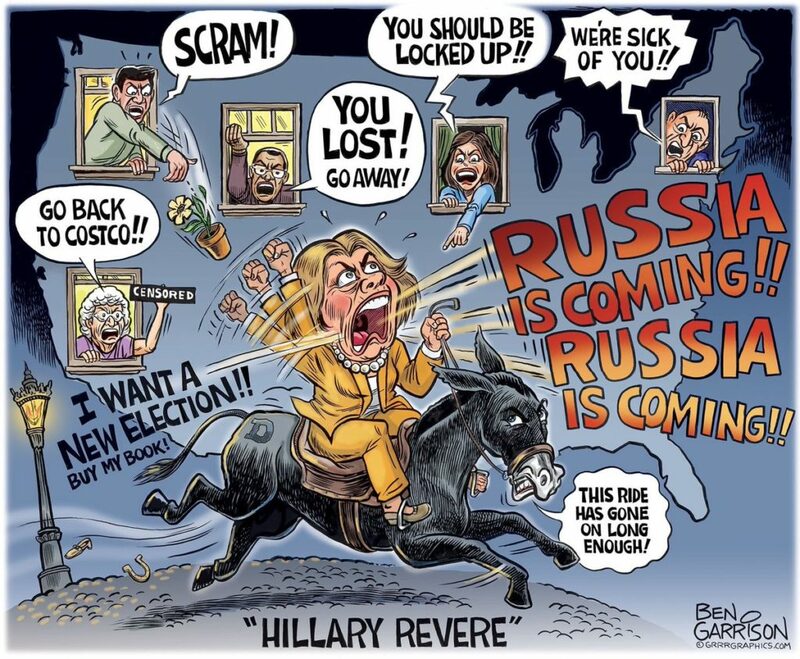 Bezos had them removed to puff up Hillary’s reputation. What else is Jeff tilting the scales on? Strangely, every time I opened this book I was hit with a wave of nausea, followed by uncontrollable coughing. I believe it is a horcrux. Take caution, friends! The Hillary review was my last for Amazon. I’m no longer allowed to post reviews there. Rather than close on a negative note, here are two of my last reviews. Feel free to share them. Here is my review of “Defeating Jihad.” Most thought that the end of the Cold War signaled an age of endless peace. Just as those who survived World War One thought there could never again be such horrors visited on the world. They were wrong. The delusion that we were seeing the end of evil, the end of history, ended on 9/11/2001. We have now blundered into a time where we seem to be living through some demonic confluence of the 1930s (world socialism) along with a resurgence of red, raw, radical Islam from 1,000 years ago and, yes, even a resurgence of the Cold War on top of this. This time we are facing fanatical terrorists with nuclear weapons. There will be War against a monstrous enemy – radical jihad, those who preach a homicidal interpretation of Islam. They are at war against America AND moderate Muslims. Unfortunately, Western Nation States, despite constant conflict, the Mideast being in flames, and the march of terrorism into America and the Western world, still don’t know this enemy. Worse yet is that, increasingly, we don’t even seem to know ourselves, who we are and what we stand for. Dr. Gorka has written a phenomenal book. He explains why BOTH political parties have failed to effectively combat radical Islam — and it’s not for the reasons you hear on the media. He explains how and why Bush failed, and how Obama has made matters worse…. I thought that was one of my better reviews, so I tried to repost it. I cannot. Here is the note I got when I tried. Cute: “May be perceived as biased….” Wow! Subjective censorship, and presumably why my ~20 years of reviews (fiction and non-fiction spanning a wide range of topics and authors) were all deleted. This assertion is an early example of what is being called “implicit bias,” a justification now being used by violent groups like “Antifa” and “Black Lives Matter” to censor public free speech. Such censorship goes one step beyond Orwell with the notion that speaking truth can be “hate speech,” an unconscious thought crime, if the speaker expresses opposing views or even associates with people who hold opposing views (e.g. Hillary’s deplorables). 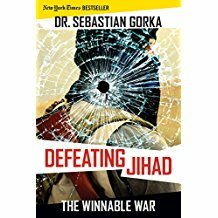 Truth: I bought Gorka’s book from Amazon, read it cover to cover, liked it, and posted a positive review, now deleted. I am now a big fan of Dr. Gorka. We’ve never met or communicated directly, but I do follow what he posts now. 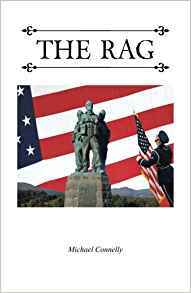 Here is what’s left of a later one that I posted for an interesting little book by Michael Connelly, the Constitutional Lawyer titled The Rag. Michael is a radio host and he’s had me on a few times. Here is a link to his broadcasts. Highly recommended. Read this book, but let’s not live it. Tell your friends BEFORE the election. In September 2017 Hillary announced a NEW Book, What Happened. It was not well received. This time Amazon publicly admitted to gaming the book’s reviews to defend Hillary. Some 900-1000 negative reviews were deleted. The reason stated was silly. Since then, things have gotten, well, more overt. Not just the Washington Post, but Amazon itself, have become part of the propaganda wing of the Democratic Party. This does not bode well. What we are seeing is what Bannon calls “the politics of self-destruction.” I find this sad. It used to be about coming together and honesty – E pluribus unum, out of many, one. Now it is about power and destruction of any who dare disagree. See comments below. 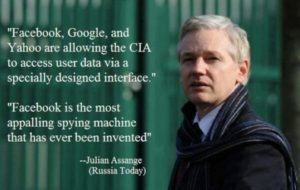 The deep state owns cyberspace. This been widely reported on the Internet, but not in the #FakeNews media. Link. Link. Link. Link. This entry was posted in Actionable, Constitution & Gov, Enterprise, Non-Fiction, Novels, Self-Defense - Guns and tagged Dark Side, Educational, Tyranny. Bookmark the permalink. 32 Responses to Burning Books in Cyberspace? Orwell lives! News media should illuminate conflicts of interest, not embody them. But the owner of the Washington Post is now doing big business with the Central Intelligence Agency, while readers of the newspaper’s CIA coverage are left in the dark. The Post‘s new owner, Jeff Bezos, is the founder and CEO of Amazon — which recently landed a $600 million contract with the CIA. But the Post‘s articles about the CIA are not disclosing that the newspaper’s sole owner is the main owner of CIA business partner Amazon. Even for a multibillionaire like Bezos, a $600 million contract is a big deal. That’s more than twice as much as Bezos paid to buy the Post four months ago. And there’s likely to be plenty more where that CIA largesse came from. Amazon’s offer wasn’t the low bid, but it won the CIA contract anyway by offering advanced high-tech “cloud” infrastructure. As Amazon’s majority owner and the Post‘s only owner, Bezos stands to gain a lot more if his newspaper does less ruffling and more soothing of CIA feathers. How’s that for a commitment to the public’s right to know? JDT NOTE: I certainly am NOT a fan of Huffington Post, but it is interesting that one of the few things the right and left agree about is the dangers posed by “Big Brother.” With that said, I personally think that firms like Google and Facebook are larger threats than Amazon. Amazon is, at the core, a cyberspace storefront. Goggle and Facebook essentially are in the business of collecting and selling your personal information. “Once again, the Top Down people are going to learn, the hard way, that this genie can not be put back into the bottle. The little boy with his finger in the dike is going to need more fingers than a Hekatoncheire to stop the leaks now. 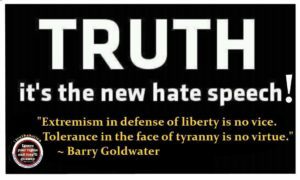 And the more people learn of the suppression of Truth by self-annointed elites, the uglier the battle will become. Former Google software engineer James Damore. My 10-page document set out what I considered a reasoned, well-researched, good-faith argument, but as I wrote, the viewpoint I was putting forward is generally suppressed at Google because of the company’s “ideological echo chamber.” My firing neatly confirms that point. How did Google, the company that hires the smartest people in the world, become so ideologically driven and intolerant of scientific debate and reasoned argument? We all have moral preferences and beliefs about how the world is and should be. Having these views challenged can be painful, so we tend to avoid people with differing values and to associate with those who share our values. This self-segregation has become much more potent in recent decades. We are more mobile and can sort ourselves into different communities; we wait longer to find and choose just the right mate; and we spend much of our time in a digital world personalized to fit our views. But echo chambers also have to guard against dissent and opposition. 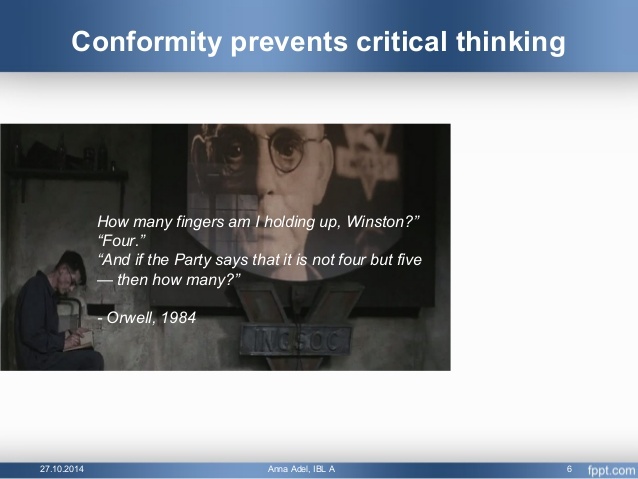 Whether it’s in our homes, online or in our workplaces, a consensus is maintained by shaming people into conformity or excommunicating them if they persist in violating taboos. Public shaming serves not only to display the virtue of those doing the shaming but also warns others that the same punishment awaits them if they don’t conform. In my document, I committed heresy against the Google creed by stating that not all disparities between men and women that we see in the world are the result of discriminatory treatment. When I first circulated the document about a month ago to our diversity groups and individuals at Google, there was no outcry or charge of misogyny. I engaged in reasoned discussion with some of my peers on these issues, but mostly I was ignored. Everything changed when the document went viral within the company and the wider tech world. Those most zealously committed to the diversity creed—that all differences in outcome are due to differential treatment and all people are inherently the same—could not let this public offense go unpunished. They sent angry emails to Google’s human-resources department and everyone up my management chain, demanding censorship, retaliation and atonement. Upper management tried to placate this surge of outrage by shaming me and misrepresenting my document, but they couldn’t really do otherwise: The mob would have set upon anyone who openly agreed with me or even tolerated my views. When the whole episode finally became a giant media controversy, thanks to external leaks, Google had to solve the problem caused by my supposedly sexist, anti-diversity manifesto, and the whole company came under heated and sometimes threatening scrutiny. It saddens me to leave Google and to see the company silence open and honest discussion. If Google continues to ignore the very real issues raised by its diversity policies and corporate culture, it will be walking blind into the future—unable to meet the needs of its remarkable employees and sure to disappoint its billions of users. —Mr. Damore worked as a software engineer at Google’s Mountain View campus from 2013 until this past week. Yes James Damore was right. It was carefully phrased and grossly misinterpreted. He’s got an excellent chance of a profitable settlement on his suit. Evolutionary psychology professor Geoffrey Miller says that he was spot-on. “For what it’s worth, I think that almost all of the Google memo’s empirical claims are scientifically accurate. Moreover, they are stated quite carefully and dispassionately. Ah. But does Miller know about gender differences? Behind the woodshed! Now! But that comment about “across species…” Does that include bivalves? As a conservative, I am pleased to see that Prof. Lilla has misdiagnosed the problems of progressivism. The cause of the left’s disease isn’t that it took identity politics too far—that is just one symptom. The root cause is that the left has abandoned truth for power. 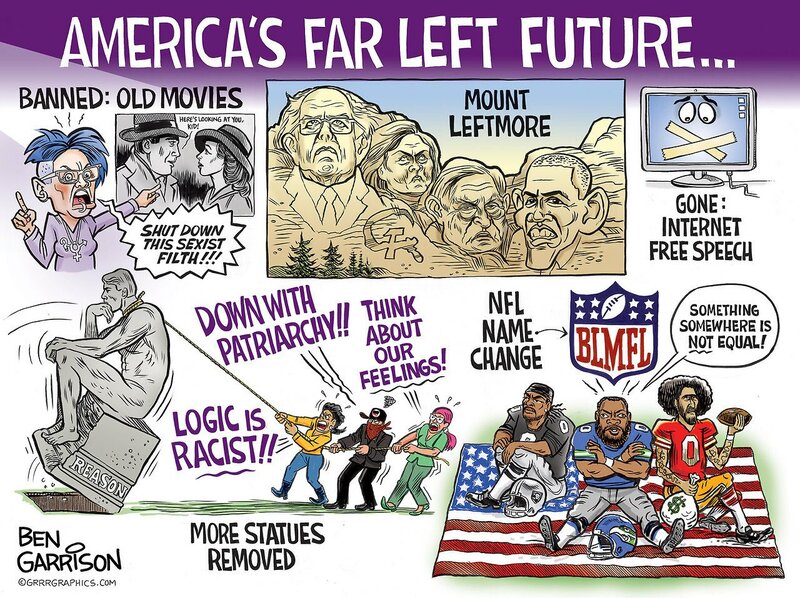 The central teachings of the left (welfare cures poverty, only whites can be racist, capitalism is oppressive, gender is malleable, abortion is just a choice, unions help workers, trace levels of CO 2 control the climate) are false, no matter how often they are repeated. Progressive policies (socialized medicine, taxing the rich, alternative energy, centralized control over the economy) don’t work, no matter how often they are tried. I have no worry that I am tipping off the adversary. Liberals never admit that what they are doing is wrong, they just insist that they haven’t done enough of it yet. It is not just books being censored in Cyberspace. There has been an industry of “Alt-News” where Indy reporters post videos on YouTube — some of which are not “Politically Correct,” and many of which differ from what the “Mainstream” Fake News is reporting and/or the recently exposed internal views of the Google culture. If the right to bear arms is the most important right outlined in the United States Constitution, then the freedom of speech is a close second. The Founding Fathers understood better than anyone that those who are in positions of power ought to be distrusted to a certain degree, and that tyranny will come to America unless those with authority are restrained. One way we restrain these authoritarian figures (namely the politicians in Washington DC) is by practicing our First Amendment rights to speak about, praise or criticize the direction in which the country is going. The freedom of speech allows us to hold politicians accountable, elect leaders that will govern in our best interests, and expel those who don’t. Without the ability to speak freely and openly, none of this is possible. Currently, and sadly, the freedom of speech is under attack in America. The mainstream media, Hollywood and leftists on college campuses across the country have been the main culprits of the assault on free speech, however recently it has also been undermined on the Internet. More and more frequently, stories are emerging of conservative voices being suppressed or even silenced by various social media websites, search engines, and even Google. Recently, a Google employee who goes by the alias “Hal” spoke to Breitbart News about the political bias that allegedly runs rampant throughout the company. Hal’s interview with Breitbart is the first in a series entitled “Rebels of Google,” which will be published in full within the next few days…. I personally find this notion terrifying. Right out of an end-of-the-world SF novel. Lord of the Flies with mind control. This was how an AI destroyed the world in the Netflix series The 100. Everyone was chipped. QUESTION ASKED: Google, Facebook, Amazon: Time to Rein Them In? [Author Jonathan ] Taplin, writes Mahaney, says regulators will increasingly take a hard look at the trio of companies and their power in society. To improve the status quo and create a digital renaissance for content producers, Taplin argues that going back to a more decentralized Web will unleash the next generation of technology, business and social innovators. He specifically suggests we remove the DMCA safe harbor provisions that Google, YouTube, Twitter and Facebook use to their advantage. For example, Taplin suggests a “take-down and stay-down” policy for music and content on YouTube that Google would be required to enforce. Google may have already thrown away its safe-harbor protection, when the company decided last week to start picking and choosing which sites it would register. According to a friend of mine in the industry, Google’s move might open up the company to lawsuits and to much closer regulatory scrutiny. I’m not a lawyer and the major news outlets don’t seem to have picked up on this angle yet, but I will keep looking into it. + + Amazon Is Part Of The SPLC’s “Hate Attack” On Liberty Counsel. Amazon is also part of the SPLC-led attack on pro-family groups, including Liberty Counsel. Through its “Amazon Smile” program, Amazon lets users direct a portion of their purchases to a vast selection of hundreds of thousands of charities. But Amazon Smile specifically BANS LIBERTY COUNSEL ALONG WITH OTHER PRO-FAMILY GROUPS from this program which has directed more than $60 million to non profit organizations. In the aftermath of Charlottesville, when the term “hate group” is used, images of the KKK and neo-nazis immediately come to mind. However, according to CNN, the real hate groups to watch out for are the conservative organizations, specifically Alliance Defending Freedom (ADF), the Family Research Council (FRC), American Family Association and ACT for America. CNN essentially reinforced the SPLC’s longstanding attacks against conservative groups. The SPLC hate map actually led to a shooting and an act of domestic terrorism. And similar SPLC-inspired bans could spread rapidly. In the past few days, other Silicon Valley giants have been announcing that they are taking active steps to ban and purge “hate groups.” With Apple openly backing SPLC, it is quite possible that the SPLC’s “hate map” will quickly become the default list used by all the Internet giants! Online payment company PayPal has banned Jihad Watch and the site’s director Robert Spencer from accepting online donations using the service. PayPal has reportedly suspended the account of Jihad Watch, according to the website’s director, Robert Spencer. In a post on Jihad Watch calling for the boycott of PayPal, Spencer outlined his correspondence with the company over a number of emails. PayPal’s suspension of Spencer’s account came shortly after an article published by Lauren Kirchner of ProPublica who criticized tech companies such as PayPal that allow Jihad Watch to utilize their online services. GOOGLE has joined the growing far-left avalanche of attacks inspired the Southern Poverty Law Center’s (SPLC) “hate” war that openly targets Liberty Counsel and other pro-faith, pro-family organizations. 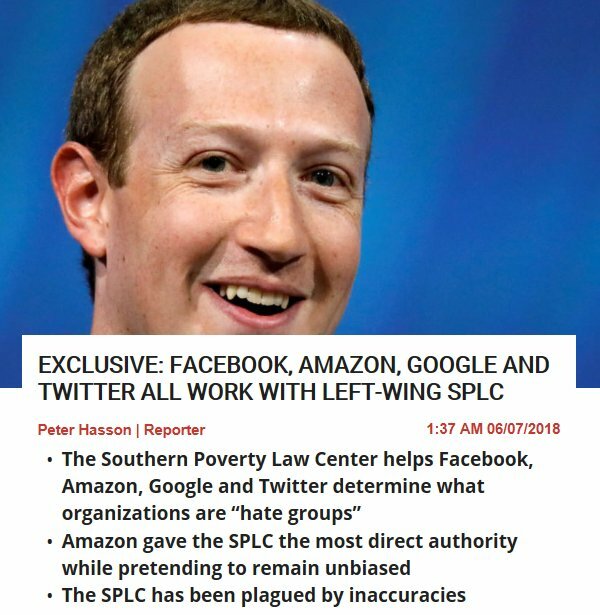 With each passing day, it becomes more and more evident that we are now facing a high-tech, Silicon Valley thought police that is being built on the engine of the SPLC’s “fake hate” campaign and their “hate map” that specifically targets Liberty Counsel. These developments are extremely threatening to our religious liberties! If you can be forced by the government to bake and sell a wedding cake for ceremony that you disagree with, does that legal logic apply beyond cakes, perhaps to books, book covers, book reviews, and other products? I don’t know. It will be interesting to watch. Now here’s where it gets interesting. If the Commerce Clause gives government the authority to trump a businessman’s personal beliefs, even if couched as a First Amendment expression, then the same logic that requires Christian fundamentalists to bake “gay” wedding cakes against their beliefs ought to mean that Amazon has no right to deprive the Ministry of a public accommodation because they “don’t like” that Church’s view on gay marriage. WASHINGTON—A Washington think tank backed by Google Inc. and parent Alphabet Inc.’s executive chairman, Eric Schmidt, has fired a prominent scholar who praised the $2.7 billion fine recently issued by European regulators against Google for antitrust violations. Anne-Marie Slaughter, the chief executive of the New America Foundation, said in a statement Wednesday that she fired the scholar, Barry Lynn, because his “repeated refusal to adhere to New America’s standards of openness and institutional collegiality meant that we could no longer work together.” She said the firing was unrelated to his June criticism of Google. Mr. Lynn said he was given two months to leave the foundation in late June, a few days after his Open Markets initiative issued a statement applauding the European Commission for taking action against Google. “Google’s market power is one of the most critical challenges for competition policymakers in the world today,” Mr. Lynn wrote in a statement June 27. The New America Foundation didn’t immediately respond to a request for comment about Mr. Lynn’s recollection of the call. In its statement, New America said it is “absolutely false” that Google lobbied New America to expel the Open Markets program because of its statement praising the European Commission’s antitrust action…. History Repeats: What Happened to What Happened? Amazon has been deleting negative reviews after Hillary Clinton’s new book was greeted with a torrent of criticism on the day it was released. We can expect that this process will assure the book gets 4.5 stars or better, as with her last book. Orwell lives. What Happened, which covers the former Secretary of State’s unsuccessful election campaign against Donald Trump, was published on Tuesday. Clinton and her publisher Simon & Schuster claimed the book would offer a candid account of her failure and her own reflection on it. Reviews of What Happened have been mixed, with some suggesting that Clinton uses it as an opportunity to blame others – such as Bernie Sanders and Vladimir Putin – for her failure, rather than herself. In The New York Times, which supported Clinton’s campaign, Jennifer Senior writes that the book is “a score-settling jubilee”. The readers on Amazon, meanwhile, are even more divided – but not all of them have read the book. The online retail giant has a “verified purchase” option to signpost whether reviewers have bought a product, and none of the 42 reviewers leaving comments on Tuesday had done so. Few of the one-star reviews remain on the website, but reports and screengrabs show that reviewers used the space to criticize the former First Lady and spread conspiracy theories about her and Bill Clinton. Amazon is rarely moved to delete reviews so publicly, although in November negative comments under a book by anti-Trump broadcaster Megyn Kelly appeared to be removed by the retailer. A new research paper from Leo Goldstein claims to have quantified Google’s bias against leading conservative sites—including PJ Media—in search ranking, especially (but not exclusively) in the area of climate change. You might be interested to learn, that your websites have been almost blacklisted by Google. “Almost blacklisted” means that Google search artificially down-ranks results from your websites to such extent that you lose 55% – 75% of possible visitors traffic from Google. This situation is probably aggravated by secondary effects, because many users and webmasters see Google ranking as a signal of trust. This result is reported in my paper published in WUWT. The findings are consistent with multiple prior results, showing Google left/liberal bias, and pro-Hillary skew of Google search in the elections. I write to all of them to give you opportunity to discuss this matter among yourselves. Even if Google owes nothing to your publications, it certainly owes good faith to the users of its search. Intentionally hiding conservative and/or libertarian websites from the customers is an obvious breach of good faith. On average, Goldstein explained in the paper, the percentage of Google referral traffic (PGSTN) is in the 25-30 percent range for a broad class of web domains. Respected conservative sites like PJM and RedState have much lower percentages according to his findings. He based his research on the Alexa website ranking site. On average, the conservative domains have almost two times lower PGSTN than the left/liberal ones: conservative 15.5% (standard deviation 5.1%) vs. left/liberal 27.4% (standard deviation 4.9%). Hypothesis of Google Search left/liberal bias is confirmed with a confidence of 95%. What Happened to What Happened? The fix was in. Same as last time, except THIS TIME Amazon publicly admitted gaming their book reviews. The beauty and lifeblood of the First Amendment is that it encourages a diversity of opinions to compete in the marketplace of ideas. Yet, sadly, as we witnessed in the last presidential election and even more so today, America’s consolidated corporate media monopolies have launched an all-out assault on democracy by trying to stamp out the expression of any ideas that don’t fall in line with liberal-determined political correctness. The latest front in this battle is now at the doorstep of the Department of Justice as it considers the proposed merger between media and information giants — AT&T and Time Warner — a merger which President Trump rightly slammed during the campaign. A decision on the merger, which could come any day now, is fraught with danger. Currently, AT&T owns the No. 1 pay TV company (26 million subscribers), the No. 2 wireless company (134 million subscribers), the No. 3 internet service provider (16 million subscribers) and was the world’s largest telecommunications company by revenue with $163 billion in revenue in 2016 alone. For its part, Time Warner owns CNN, one of the world’s largest news networks, three of the top five general entertainment cable networks in TBS, TNT and HBO — the leading premium-cable provider and the No. 2 movie studio, by box office revenue, in Warner Bros. If approved, this media marriage would give two mammoth organizations an inordinate amount of power to control not only the information that flows onto our computers and televisions, but also the viewpoints that are expressed in that programming. For example, this merger could give CNN even more influence and power than they enjoy today. Yes, I’m talking about the “Clinton News Network” that repeatedly presented fake and dishonest news designed to influence the 2016 presidential election outcome. Additionally, networks like CNN paid for polling that continually marginalized Trump or likely Trump voters from their surveys. This allowed them to run with stories that grossly exaggerated Hillary Clinton’s lead, a lead which Election Day proved did not exist. 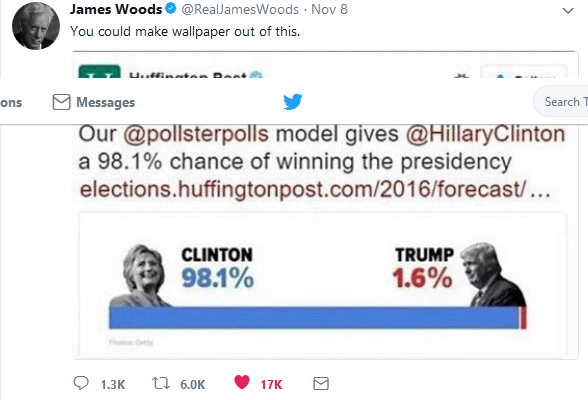 No doubt, the effect of this kind of polling shenanigans was intended to discourage Trump voters from participating in what was being presented at the time as a hopeless race. If the merger goes through, AT&T’s powerful reach into our homes and computers would give them the ability to increase the power of their own networks — like CNN. CNN and its biased news could gain higher visibility and AT&T could also make it more difficult or impossible for consumers to find conservative or more-balanced news alternatives. The last thing we need is a corporate giant that makes CNN and other networks it owns even more powerful. It was an explosive charge, but a correct one because it gets to the heart of the danger the massive media monopolies pose to American democracy in the 21st century. President Trump clearly stated that under his administration the AT&T/Time Warner merger would be stopped because it was not in America’s best interest. Now, he needs to keep his promise by telling his Justice Department to kill the deal because it puts too much power in the hands of a corporate media conglomerate and endangers free speech. Richard Manning is the President of Americans for Limited Government. Thank you, Hillary Clinton, for showing young authors everywhere that it’s not what you know, but who! The BIGGEST GROUP CENSORING FREE SPEECH IN AMERICA, IS, OF COURSE, MMFA. It is a Soros funded hate group, Media Matters for America. This is the mother load of disinformation and intimidation. It mainly keeps the Fake News media in line, but also provides inspiration and example to the big cyber media firms in these tactics. It is very active, and sometimes successful, at censoring Fox News and trashing their TV hosts. 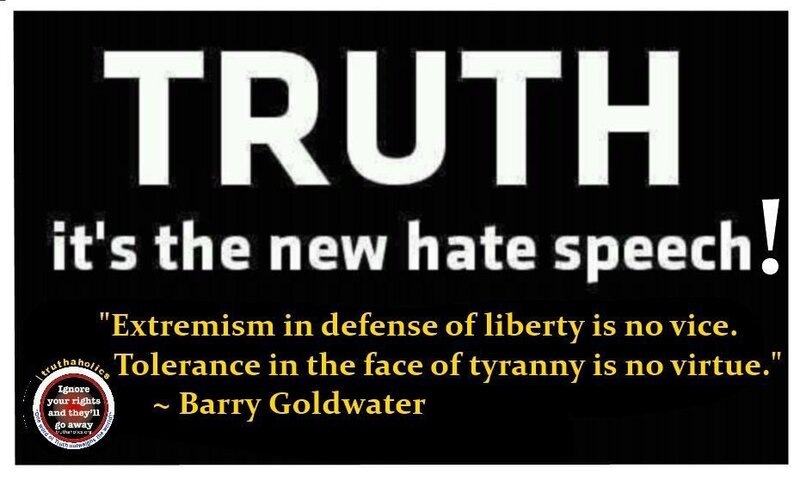 To hell with the 1st Amendment – Nazi Sympathizer George Soros funded Media Matters is leading the liberal charge to shut down all conservative speech in America in spite of the fact that a majority of Americans are conservative. Under President Obama the US was caught in a backwards spiral. Unemployment rose to as much as 10% while the amount of US debt doubled to nearly $20 trillion. In spite of the government not being able to pay its current bills, Obama’s US took on more and more third world immigrants and opened its porous borders with Mexico. Jobs were sent overseas with the help of horrible trade treaties with other countries. The Middle East turned upside down as US troops were pulled from Iraq and guns from Libya were supplied to rebels in Syria who morphed into Islamic killers. Americans murdered in Benghazi were ignored and patriot taxpayers who supported conservative principles were repressed. All the while the complicit mainstream media (MSM) supported Obama’s destruction of America and condemned all who dared stand up for justice. These efforts to destroy America are what led to the Trump Presidency. But liberals never got it. They performed studies after the election and rightly learned that their old legacy compliant media was no longer the only show in town. Entities like this site (TGP) were sharing the real news and their messages were shared on the mega news site – the Drudge Report. Hillary was sick and taking time off from her campaign. Podesta’s emails were released by WikiLeaks, and although the MSM wouldn’t report what was in them, the criminal and corrupt actions of Hillary’s campaign manager and former Bill Clinton and Barack Obama aide, showed corruption at levels never seen before. These too were reported by the ‘new media’. Americans had a voice and Trump won! 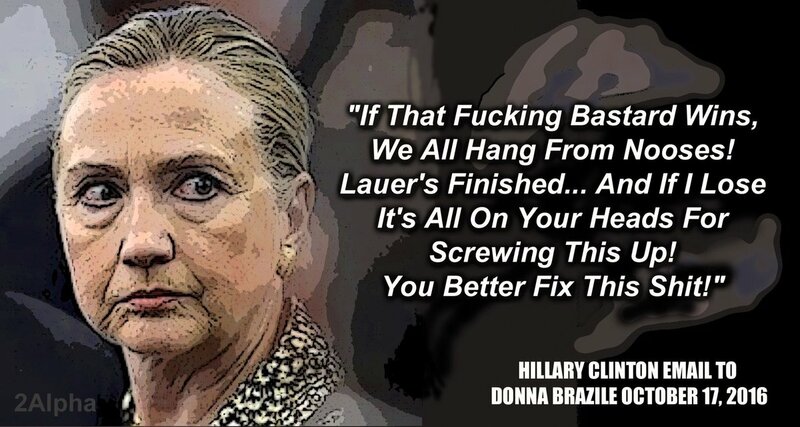 Never mind Hillary’s explanation of what happened. She doesn’t have a clue. 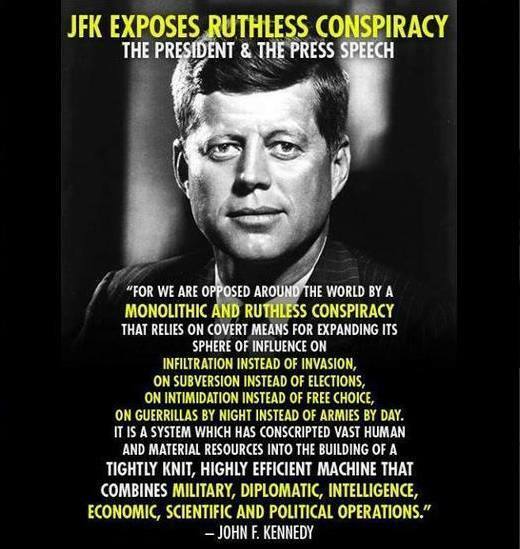 When John Kennedy was president, the Democrat Party was vastly different. They controlling both houses of Congress, believed in capitalism, economic growth, low taxes, a strong military and American culture. They even said “Merry Christmas.” They were not shy about their patriotism and love of country. They stared down communism and the Soviet Union and won. Would Kennedy, Tip O’Neill or “Scoop” Jackson recognize today’s Democrat? Today’s Democrat Party is indistinguishable from what it was fifty years ago. Some 43% of the Iowa caucus goers self-identify as socialist, while more than half of Iowa voters agree more with socialism than capitalism. A poll in 2016 by the American Action Network found that nearly six in ten Democrats nation-wide say socialism has a positive impact or have a healthy inclination toward socialism. Democrats have an inner antagonism toward America. Many of them hate what it stands for. They believe its history is filled with injustice, ignoring the human condition and the rest of the world. They expect perfection in everything but themselves. What would Kennedy have thought of President Barack Obama embracing Cuba, apologizing around the world for America’s behavior? What would Kennedy have thought of Obama backing the Muslim Brotherhood, ignoring Hezbollah in order to get an Iran deal, giving billions of dollars in cash to Iran, the world’s terrorist capitol, while being hostile towards Israel? Much of our nation’s success can be found in its moral underpinnings. Where is it now? Democrats in mass support gay marriage, transgenders, unrestricted abortion. The DNC can’t even decide if God has any place in our republic’s culture any more. Who are the people that roam the countryside looking for crosses to tear down that are being displayed on public property? What have Democrat policies done to the inner cities in Chicago, Baltimore, Detroit? In the 1960’s the Black community switched their support to the Democrat Party, yet in 1965 only 8% of child births in the Black community were out of wedlock. Today it is an astounding 72%. A new report released by the Urban Institute finds that the African American family has declined across almost every measure since the 1960’s (yourblackworld.net). The Democrat switch was due primarily because of the passage of the Civil Rights Act of 1964. That law was really an extension of the Republican Party’s 1957 and 1960 Civil Rights Acts. In fact, the bulk of the opposition to the Civil Rights Act was from Democrats. Since President Johnson, a Texas Democrat, signed it into law, perception became reality. Democrats constantly talk and peddle racism, all to keep it alive for their purposes. For Jesse Jackson, the switch has been very profitable. He is worth in excess of $10 million just by being a civil rights activist. Al Sharpton is worth $5 million. Not bad for a couple of Baptist ministers (celebritynetworth.com). Black women represent 13% of the female population but they account for 30% of all abortions. Black women are four times more likely to have an abortion than White women (The Guttmacher Institute). It is a veritable genocide. Astonishingly, 48% of Black female teens between the ages of 15 and 19 have been diagnosed with a sexually transmitted disease (Guttmacher Institute). Since abortion is strongly pushed by Democrats, who are the racists? What have liberal policies and values done to the Black community? What do Democrats offer today? Do they offer the freedom for everyone to be the best they can be? No, they offer food stamps, free healthcare, welfare, Section 8 housing, free cell phones, and a plan to offer free college with no idea how to pay for it except an attack on wealth and a war on capitalism…everything to keep millions of people totally dependent. I remember when Obama became president, many people, mostly Black, were convinced Obama was going to pay their bills (youtube). In Detroit, New York and Ohio in 2009, thousands showed up to collect what they thought was going to be free money. This is what many people have come to expect from the Democrat Party. Today’s Democrat is about control. Control over your money, control over your healthcare, control over your children’s education, your family, your personal safety, your spiritual life, even control over your ‘freedom of speech.’ They have taken over the role of provider in millions of families. Democrats hate tax cuts. It takes power away from them and gives it to the taxpayer. They always want more of your money to give you back what they think you need. They always insist that they have a better idea, never mind hundreds or even thousands of years of Western culture development. The Democrat Party and much of the Republican Party until the victory of Donald Trump, have abandoned the middle and working class people of this nation. They have, instead, over the past fifty years embraced the ‘educated’, liberal, anti-Christian, amoral elites. If you want to know what happened in the last election, look closely at the Democrat Party. Democrats and even some Republicans may get back on track when they decide they love their country more than they hate Donald Trump. News media should illuminate conflicts of interest, not embody them. 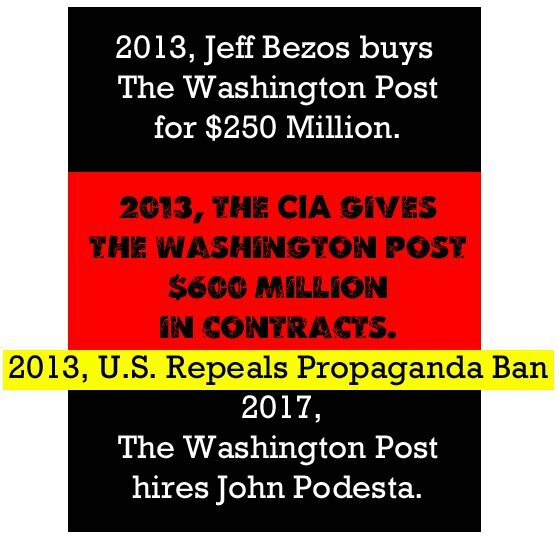 But the owner of the Washington Post is now doing big business with the [Deep State = Obama/John Brennan] Central Intelligence Agency, while readers of the newspaper’s CIA coverage are left in the dark. My novel Privacy Wars was my breakthrough book. To this day, it has won the most major awards. NOTE — Many have observed that there are other dangers posed by radical left Cyber Media cartels. I agree. For those wondering where Orwell’s 1984 (and Communist John Brennan’s CIA) got such all-seeing, all-hearing devices, now we know. They were bought from Amazon or Apple or Google. This article might help make that clear. It’s about the money. Much the same as with Teddy Roosevelt and his Trust Busting in the early 20th Century. NOTE THAT FOX NEWS, NOW IN LATE 2018, IS CENSORING STORIES. WITH EXCEPTIONS, IT HAS BECOME PART OF THE FAKE NEWS. The malaise from Social media spreads into other forms of communication, and once harmless magazines become organs of censorship. I just dropped my long time subscription to Writer’s Digest. This was the letter I sent them. Feel free to copy and distribute as you wish. I prefer to specify my own feelings rather than to have you assume, as you chose to do for the female long-time subscriber. She was “resigned, not angry,” you said, about the intrusion of politics into “even an innocuous magazine about writing.” That’s unlikely. I don’t consider WD harmless, why should she? You canceled a WD interview simply because of your personal #MeToo editorial viewpoint? Without any evidence or justification? Wow. Not harmless, not innocuous. Dangerous and certainly not in accord with “innocent until proven guilty,” the core precept of our Western Civilization for centuries. I attribute your aggressive editorial positions as Political Correctness, ideology, not politics. I suggest that most women – those who have sons, fathers, brothers, and even spouses – might deem your views as, ah, excessive…. The fact that social media (now notorious for censorship – see the Google memo) supports your PC viewpoint makes it worse, not better. Social media wants people to look different, but to think alike. Orwell would understand the danger of that. You obviously do not. Your notion of “leveling the playing field” for the public good suggests you should re-read Ayn Rand, or perhaps ponder why free speech was made the first amendment. Once writers, authors, are constrained to not write what we choose, it all becomes pointless. If we are subject to self-appointed thought police, why bother? I think perhaps publishing is being infected by “Hollywood think,” a cluster of insulated elites in decline who should perhaps have two-day events, one for Awards and one for their Political Convention. They dove out Clint Eastwood whose movies outsold everything else put together, but failed to win awards. And, as a novelist (yes, a white male – perish the thought), I would never ask you if it was OK for my novels to have a diverse cast. My casts are diverse and about half my readers are female. US Review of Books said that the lead characters in my Raven’s series “form one of the most interesting romantic pairings in the thriller genre.” I reject your “new normal,” Sir. I will not be renewing my subscription. In addition to blatant censorship and sabotage, the Deep State and large Cyber Media companies have squeezed the profit out of writing books in the US, thus reported Forbes. WHY DON’T WE EVER HEAR ABOUT THAT??? And then, there is the issue of privacy. 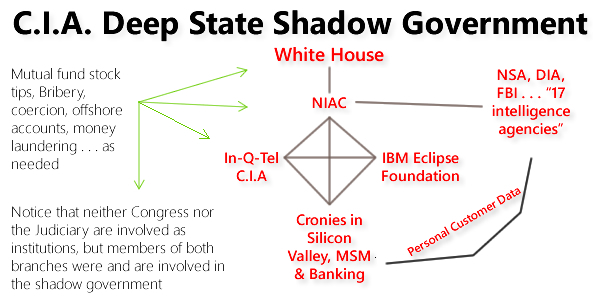 Which does NOT EXIST under the Deep State and Cyber Cartels…. I want to thank @tedcruz for exposing Big Tech and social media censorship of conservatives. Without free speech FOR ALL, we are not a free country. WHAT IF ALL ILLEGALS LEFT THE UNITED STATES? Goodby Writer’s Digest. I’m sad, not mad…. Sage against the Machine – Freedom or Marxism?